Jimmy and Michael had a great day fishing with there dad Al yesterday getting there limit of Tog a bucket of nice ling and toping the cooler off with a 16Lb 2 Oz and a 15Lb 13 Oz Togs. You do not see fish like this every day. The tog bite has been great the past couple of weeks and is only getting better unfortunately the season is coming to a close on Tuesday so if you want to try your hand at a prehistoric behemoth like this get on your local party boat, charter boat or your personal boat and go get them. 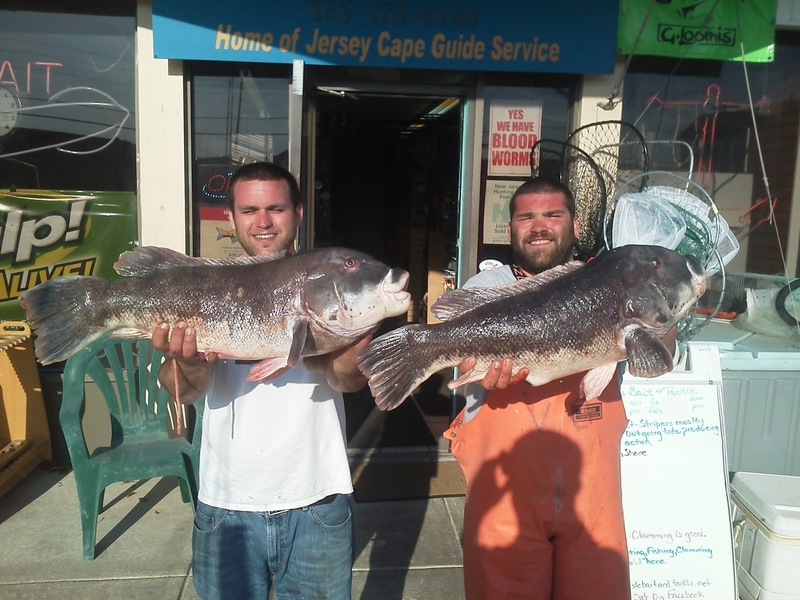 They where fishing 20-30 miles out but there are plenty of fish inshore. The reports just keep coming in this week. 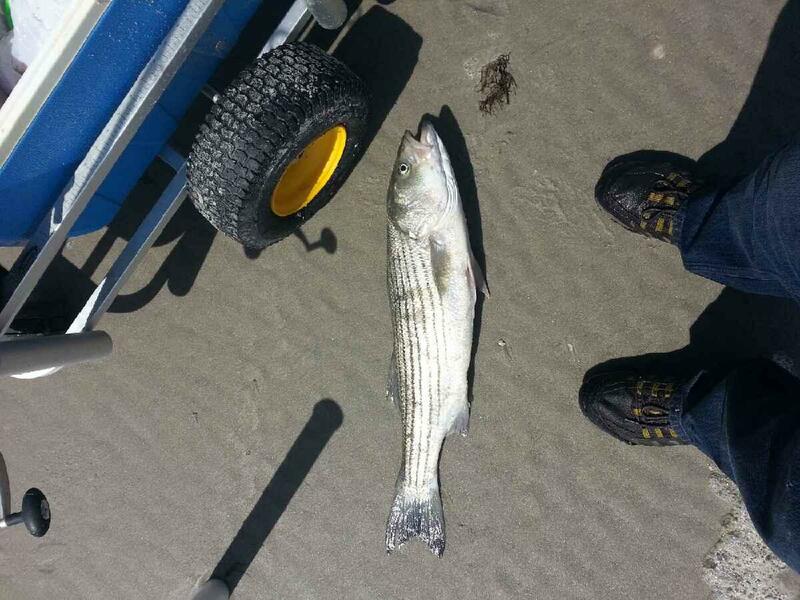 Stripers, black drum and blue fish on the beach. 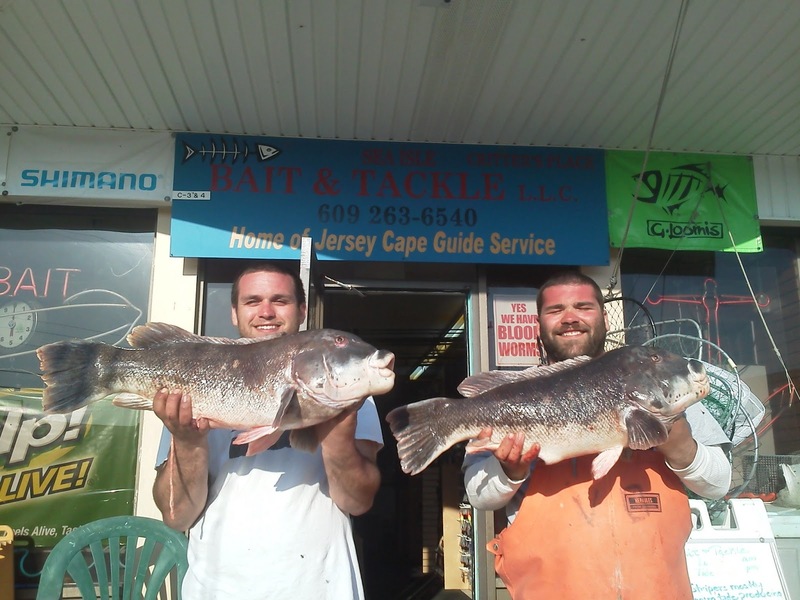 Weakfish, stripers, blue fish and flounder in the back bay and the Tog bite is great in the ocean. Its go time people, look’s like nice whether this weekend and the fish are chewing. 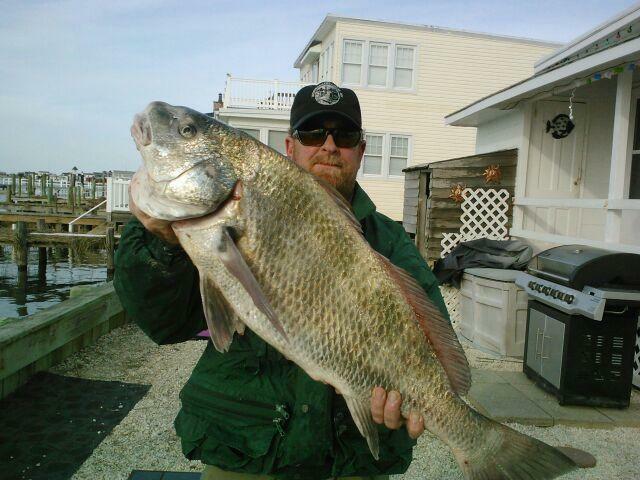 The fish in the picture is a 40Lb black drum taken in Strathmere on clam.